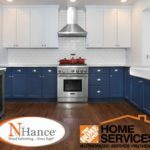 N-Hance is hitting the ground running in 2019 with a high ranking on Entrepreneur magazine’s Franchise 500 list. 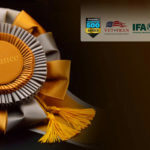 The Franchise 500 list is widely regarded as the most prestigious annual franchise ranking list, which is compiled to help entrepreneurs choose franchise systems that are worthy investments. This year the esteemed business publication compared more than 1,000 franchise systems on five key metrics: costs and fees, size and growth, support, brand strength, and financial support and stability. N-Hance reflects all of those metrics, ensuring it was once again included on the list. In 2018, the brand celebrated opening its 500th location, vastly increased franchise support with its Quick Start Program, significantly expanded brand strength with its Brand Marketing Fund, and increased potential for franchisees to increase profitability with new service offerings. In 2019, N-Hance is planning on another banner year. The brand recently announced plans to open over 70 locations this year and to expand its service offerings to help franchisees generate revenues and find new ways to help deliver exceptional results for their customers. 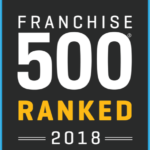 “We’re tremendously pleased to rank so high on this year’s Franchise 500 list,” says D’Wayne Tanner, Senior Vice President of Franchise Development with N-Hance. 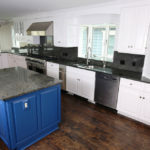 “Our rapid nationwide growth is a strong reflection that our business model is connecting with entrepreneurs. One strong sign of the health of our brand is that our existing franchisees are scaling up in large numbers to multi-unit ownership.